Does anybody train with lower reps to increase strength i.e. 3-4 rep range? Would using a lower rep range be beneficial or is using a more conventional "muscle building" rep range ,8-12, sufficient for increasing strength? Do you think that a lower rep range is too risky for injury? Hi Dannycap - in my experience using lower reps to increase strength is essential. Powerlifters who are essentially interested in strength training use a rep range of 1-4 reps. It depends what your goals are, if you want to increse size as well as strength I would stick to a more conventional range of 10 / 8 / 6 reps which combined with a bulking diet will provide increased strength as well as muscle size. If it strength you are primarily interested in then stick to a low rep range of no more than 6 reps per set. Lower rep ranges will definitely increase the risk for injury but if you use common strength and build up the weights you are using gradually and ALWAYS use a spotter then this can be a safe way to increase strength. What are your training goals matey? Jenson - good to see you posting matey. Whilst I think you are generally correct in the context of what Dannycap is trying to achieve I think the distinction has to be mad between Powerlifting and Strength training. They are 2 totally different types of training and you would use different sets / reps and a different percentage of your 1 rep maximum. Basically powerlifting is more of a sport where you have a lot of strength for 1/2 reps. Strength training is for trainers who wish to increase their overall strength. I think Dannycap would benefit from both types of training but should concentrate on the strength training principles if that is his primary goal. Good post garthy and totally agree with what you are saying! There is a distinction between powerlifting and strength training as you rightly point out and like you say I think Dannycap would benefit from boith types of training. Dannycap - what are you current goals in terms of training? This will help us to give you more specific advice. Get your routine up matey and let us know what your training experience is and your current bodyweight / bodyfat and I will give you my opinion. Il be training for physiqe now I got bak - whats best for losing about 11 pounds and gaining muscle jenson? I am looking for daily exercise training..
give me some basic suggestion please. A few months ago realized that it’s time to do something about my overweight. I’m only 22 years old and I don’t want to be ‘fat’ my entire life. So I got myself thinking of visiting the gym a few times in a week. But to be honest, I’m very unsecure about my body and afraid of the reactions of all those healthy, pumped up people. So I surfed the web and I found out that the Pronokal program works with personal trainers in specialized gym’s. So I explained my problem to the Pronokal coaches and they encouraged me to get moving more. They also got me in contact with a personal trainer, Nicole. Taking up their advice, I started to move more. I’m now walking on a daily basis and instead of getting in my car to go to my friends, I’m riding my bike. 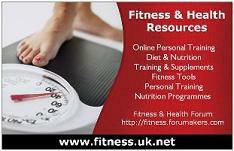 At the moment I’m combining the diet together with personal training of Nicole, mainly focusing on cardio. Great info for lower rep. Thanks for share. Where most people seem to go wrong is with the number of reps/sets and not regulating the rest periods properly. If, for example (and I see this a lot with "mass builders"), you are training a muscle or muscle group for 10-12+ sets (using several exercises ie flat bench, incline bench, db bench) and only resting for approx 1 minute between each set for each exercise you are actually endurance training not mass/hypertrophy training. Switch it around, you are doing a total 4-5 sets for a muscle or muscle group (maybe with one or 2 exercises) and are aiming for size but are allowing 4-5 mins rest between each set you are actually training for strength. Training is all about manipulating energy systems and forcing your body to become better/more efficient (bigger muscles, activate more motor units etc) when using that training system. Rest, reps, sets, %1RM and tempo are what defines the energy system used so if you get that wrong you wont see the gains you want/expect. Note: There are no golden rules that work for everyone and some people due to genetics etc will not adapt as predicted to certain training systems. HOWEVER, do not assume you are one of those few people, stick to the basic training principles as for 99% of people they will work unless you can 100% prove otherwise.